For 98 years, Delbert Nutt witnessed numerous changes in the world around him, and with pride and admiration he saw his family grow to include many. Delbert considered his family his greatest joy and was ever dedicated to those entrusted to his care. A personable fellow, Delbert was outgoing and possessed a gift for gab. He was a friend of many and a stranger to none with his sociable nature. An honest man with a hard-work ethic, he was a positive influence in the lives of those he held most dear and leaves much to be remembered for lessons taught, love given, and a legacy that continues on. The year 1920 was a time of radical change with much taking place by way of technology, advancements, discoveries, and inventions of the day. Women won the right to vote, and prohibition took effect, making way for bootleggers and gangland mobs alike. Known as the Roaring Twenties, a sense of gaiety filled the air, yet nestled in the small community of Gobles, Michigan, Delbert J. Nutt was born on February 2, 1920. 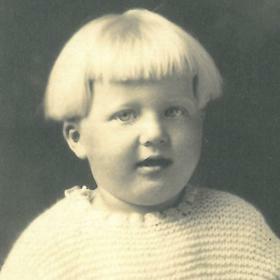 One of three children, Delbert was the son of John Amos and Alice Louise (Ayres) Nutt. His father worked as a farmer and later as a barber while his mother remained at home as a homemaker. With three strapping young sons, she had her hands full with Delbert, his older brother, Lloyd and Delbert’s twin brother, Donald. Delbert grew up in nearby Decatur, Michigan where he experienced numerous boyhood adventures. From a young age he was taught a good work ethic, especially during the tumultuous times of the Great Depression.  Although money was scarce and times were difficult, Delbert’s family prevailed. 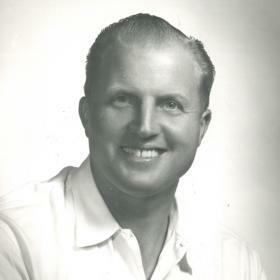 Quite the athlete in his youth, Delbert remained active throughout his life. An avid and lifelong Detroit Tiger fan, baseball was his favorite sport and he once even pitched a no-hitter. Following his graduation from Decatur High School with the Class of 1939, Delbert eventually went into business for himself with his own service station. It was there where he met the young women who would forever hold his heart, Betty Mott. While Betty first thought Delbert was a bit arrogant, they were quite smitten with one another and soon began dating. With World War II well underway, Delbert was drafted to serve in the U.S. Army. Stationed at Camp Cook in California, Betty followed her sweetheart. She quit her job and drove across the states to California where she landed a job on base at Camp Cook. Deeply in love, Delbert and Betty were happily married on September 2, 1943 in San Luis Obispo, California. In what would become nearly 70 years of an abiding love, Delbert adored Betty and together they shared a wonderful relationship. He came to count the day he married his beloved Betty as the happiest day of his life. Delbert was proud of his military service and at the war’s thankful end he was blessed to have returned home to Michigan as a Master Sergeant with his new bride by his side. The couple settled in Kalamazoo, Michigan where Delbert once again became the owner/operator of his own service station before eventually becoming a pop distributor distributing Dr. Pepper, Mission Orange and Hires Root Beer. Delbert loved a cold Dr. Pepper and was proud to have introduced these products to the Southwest Michigan area. Before long, Delbert and Betty welcomed the love of children into their lives with the births of James in 1947, then Susan and Sally in 1951. Delbert was a wonderful provider for his family, and although he worked six days a week, Sundays were always reserved for family. Through the years memorable times were shared during the holidays and other special occasions; family meals and several fun-filled vacations which made for lasting memories. 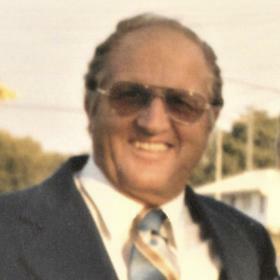 When the children were young, Delbert had a modified stock car he raced in Michigan, Indiana and Ohio and at one point he served as president of the Kalamazoo Motor Speedway. Betty made a good home for Delbert and the kids and he loved her cooking. Quite the dancer, he and Betty also enjoyed dancing together throughout the years along with many wonderful trips. Delbert’s outgoing and easy personality made him a natural in his work as a car salesman. He was quite successful and won many trips for his job performance. Over the years he and Betty enjoyed visiting many destinations such as Aruba, Hawaii, St. Croix and Florida just to mention a few. After retiring, Delbert and Betty began wintering in Florida but always made it back to Michigan to be near family. They eventually had a place at Big Fish Lake in Marcellus where they enjoyed having boats. They loved having their family out at the lake where they made priceless memories teaching the grandkids how to swim, fish and snowmobile. Delbert always did enjoy taking in the outdoors and he loved mushroom hunting and fishing. Among other things, he liked a car ride at dusk looking for deer in the fields. Delbert loved music and could always be found whistling or singing a familiar tune, something all of the grandchildren recall vividly. Although he loved Betty’s cooking best, once she was no longer in the kitchen, he had a daily ritual to Burger King in Paw Paw for a Jr. Whopper and a Dr. Pepper. One of the things that kept Delbert young at heart was being very athletic throughout his life, and well into his later years. He water skied into his 70s, and was right out there playing horseshoes, whiffle ball and corn hole with his grandchildren and great-grandkids into his 90s! Keeping a meticulous lawn was important to Delbert and he was proud of the work he put into it. In fact, he even mowed seven of his neighbor’s lawns past the age of 95 and continued to drive until he was almost 97! Sadly, Delbert’s beloved Betty passed away on May 31, 2013. This was no less a difficult time for him, yet with the love and support of family and friends, he got by. In time, however, Delbert began to slow down. He was diagnosed with dementia and in May of 2017 he moved to the Veteran’s facility in Battle Creek where he spent the remainder of his days. Family was always important to Delbert and in them he found his greatest joy. Easy to talk to, Delbert loved a good conversation with family, friends and strangers alike. Over his 98 years, Delbert experienced many changes yet always near and dear to his heart was the love of family. He was a man of integrity who valued honesty, a good work ethic and earning one’s own way, all of which he taught his family. Gone yet never to be forgotten, Delbert will be deeply missed and forever treasured in the hearts of many. Delbert J. Nutt, age 98, of Lawton died on Thursday, July 26, 2018 at the VA Medical Center in Battle Creek. Along with his wife, Betty, Delbert was also preceded in death by his parents, John and Alice Nutt; brothers, Donald and Lloyd; and by his son, James in 2011. 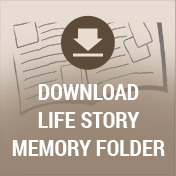 Surviving members of his family include his two daughters: Susan Bartoletti of Allendale and Sally Gildea of Battle Creek; daughter-in-law, Sue Hinga Nutt of Dimondale; eight grandchildren: John (Martha) Nutt, Brian VanLandegent (Melanie Willard), James (Shannon) Nutt, Jodi VanLandegent, Lisa (Brian) Bartlett, Jennifer Gildea (Jay Siegwald), Andrew Bartoletti (Kali Roseboom), Amanda (John) Kakoczki; ten great-grandchildren and a great-great-granddaughter. 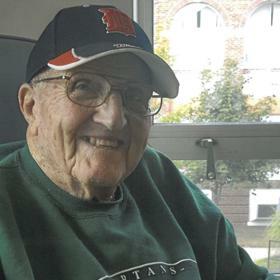 Learn more about Delbert and visit with his family and friends on Tuesday from 5-8 pm at the Betzler Life Story Funeral Home, 6080 Stadium Drive; Kalamazoo (269) 375-2900 where services will be held on Wednesday at 10:30 am. Delbert will be buried next to his wife Betty at Mt. Ever-Rest Cemetery. 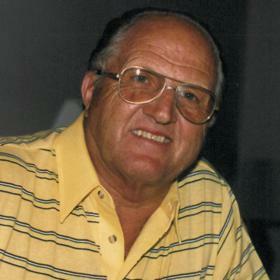 Please visit Delbert’s personal web page at www.BetzlerFuneralHome.com, where you can archive a favorite memory or photo and sign his online guestbook before coming to the funeral home. Memorial donations may be made to Veterans of Foreign Wars Foundation (VFW).